Lesser-known archaeological sites are more intimate and human-scaled, and some have cenotes, underground pools and streams you can swim in. 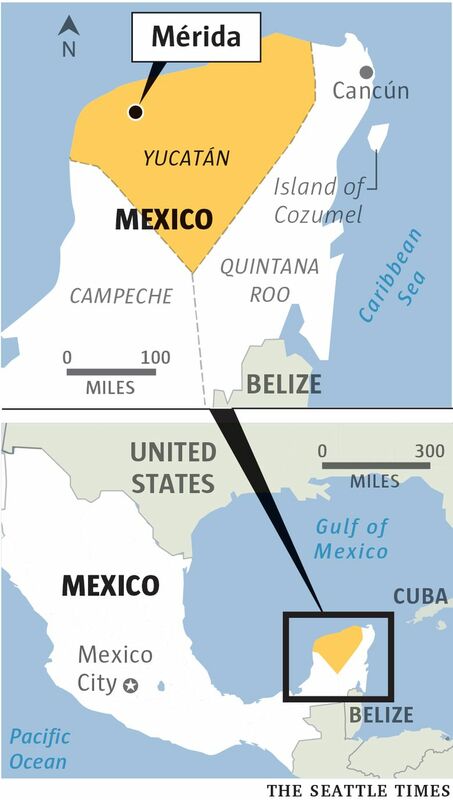 For millennia, the Yucatán Peninsula in southeastern Mexico has been home to the Maya, indigenous people who built magnificent cities centuries before Columbus. Cancún, on the coast, draws the tourists — about 5 million last year. But the interior of the peninsula offers richer opportunities for going deeper and experiencing more about the life — ancient and modern — of the Maya, who still live in Yucatán, speak the language of their pre-Columbian ancestors and maintain many of the old ways. Tulum and Chichen Itza are probably the peninsula’s best-known archaeological sites. Both are easy rides from coastal resorts, and both are spectacular. Still, there are many smaller, less well-known sites that, although lacking the renown of their bigger brethren, are more intimate and human-scaled. The early-morning fog was just burning off as we parked outside Mayapan, the last great political capital of the Mayan world. Misty mountains of gray stone started to glow in the early light; silhouettes of pyramids slowly emerged. Mayapan was abandoned centuries ago. 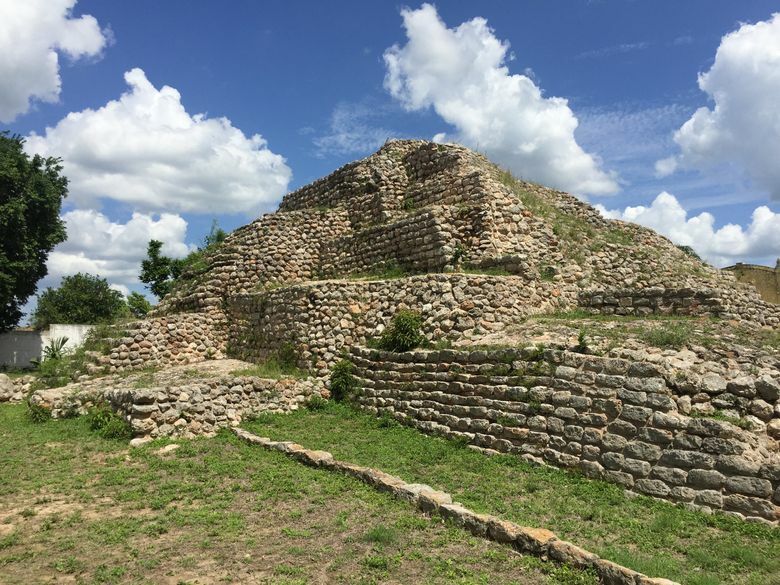 According to the chronicles of Diego de Landa, a Spanish missionary in the 1500s, local people claimed that Mayapan was founded by Quetzalcoatl, the feathered serpent, half-man/half-god, who was worshipped throughout this part of the Americas. It’s eerie to casually walk around the crumbling stones that remain of this great metropolis of perhaps 14,000 citizens, listening to the songs of the same kind of birds who sang for the Maya, imagining a civilization that’s now vanished like morning mist. It was almost noon as we pulled into the central square of hot and dusty Acanceh, outside Mérida, the capital of Yucatán state. Pedicab drivers snoozed in their canopied vehicles, waiting for customers; local merchants sought shelter from the sun inside shady storefronts; and kids played upon a pyramid tucked between a convenience store and a church. The ancient city that once stood on this site was founded as early as A.D. 200. It covered nearly 2.5 square miles. The area still contains hundreds of ancient structures, mostly unexcavated. The main pyramid, measuring about 36 feet tall, is crowned with a series of remarkable frescoes of local gods. In Acanceh, Yucatán’s past and present commingle. People still speak the timeless tongue, children are at home on the steps of the centuries-old temple, and images of the ancient gods still gaze down upon the town. Having a pyramid or two in the center of town is not uncommon in Yucatán. When the Spanish overran the Maya, they set up their cities on top of Mayan cities, using old stones to construct their new buildings. Izamal was the site of a Mayan city largely leveled by the Spanish, who built a big church on top of the central pyramid. A few blocks away, several pyramids are being excavated, bringing back the buildings from a past that has never been totally smothered. Unlike almost every other archaeological zone we visited, there was no one taking an admission fee. When we visited, we saw people sitting on the huge base of the pyramid, having a picnic in the shadow of history that never really went away. If you need a break from visiting ruins under the hot Mexican sun, cool off in a cenote, a deep well formed when Yucatán’s limestone crust breaks, providing access to underground streams. Cenotes made it possible for people to live in this part of the world, providing water for everyday bathing, drinking and cooking. 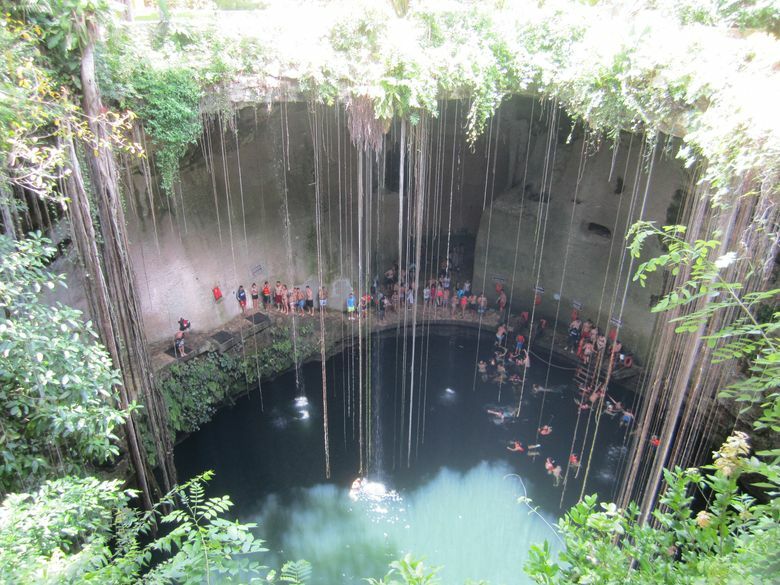 Cenotes were also sacred sites where sacrificial victims and items of great wealth would be flung to appease the gods. In the upper part of Yucatán, cenotes are clustered in a semicircular pattern around the Chicxulub crater, where an asteroid that crashed into the peninsula wiped out the dinosaurs about 65 million years ago and created cenotes. From the capital of Mérida, you can drive to many cenotes. We were warned about questionable locations that charge a lot for little. After soliciting advice from many locals, we settled on Santa Barbara Cenotes & Restaurant, where you can bike to three on-site cenotes. For about $25, we got bikes, towels, access to cenotes and a guide. Included in the admission is a respectable lunch, prepared by two friendly grandmother-types who tend the fire and pat tortillas in back. Predictably, many archaeological zones, because they’re built on the sites of centuries-old cities, contain cenotes. Chichen Itza has a particularly lovely and well-maintained cenote, Ik Kil, that attracts throngs of tourists and locals alike and provides towels and a locker for under $10. On the way to Ik Kil, we bought a cluster of huaya fruit from a street vendor. The juicy and litchi-like fruit has a short growing season and is unlikely to be found anywhere in the States. 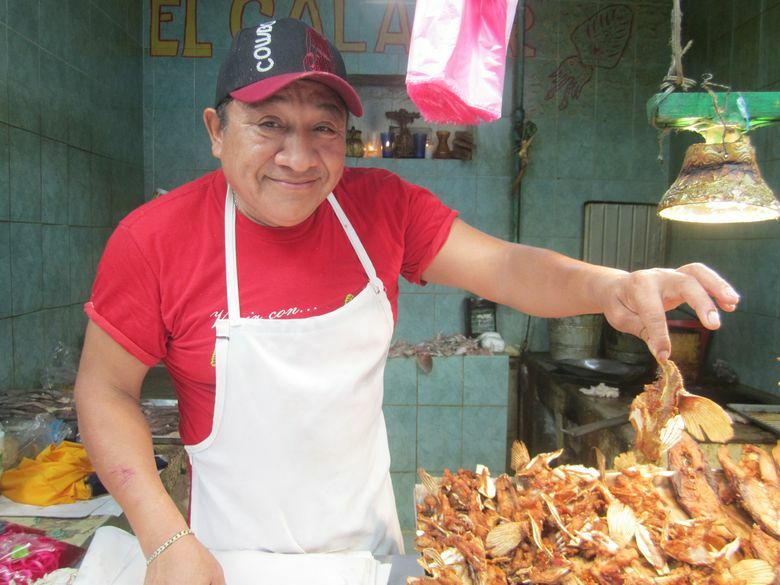 While keeping in mind the hazard of eating uncooked food in Mexico, remember that markets provide a wonderful opportunity to discover local specialties. In Mérida’s main market, Lucas de Galvez, you’ll find an indoor collection of hundreds of stalls. Some were selling food we’d never had before, including tender and tasty flying fish, wings attached, simply fried and dashed with hot sauce.